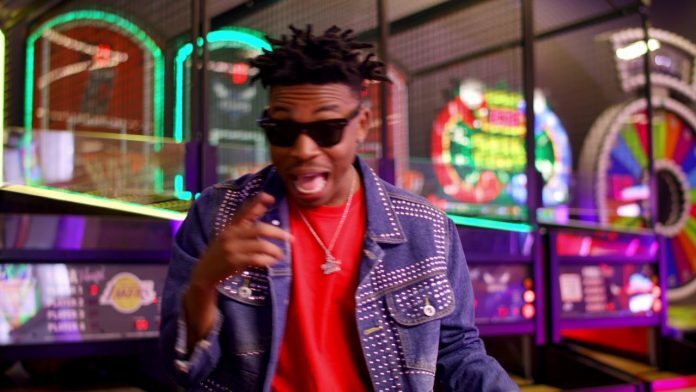 DMW flagship artist Mayorkun has reacted to claims that his recent concert was riddled with violence and indiscriminate s3x. Sunday 21st July was Mayorkun’s headline concert in Ibadan, supported by DMW artists and other colleagues. Social media ruckus emerged about breakout of violence at the concert ground with reckless s3x happening too going by littered condoms seen. The ‘Bobo’ crooner has decided to clear the air on the issue. 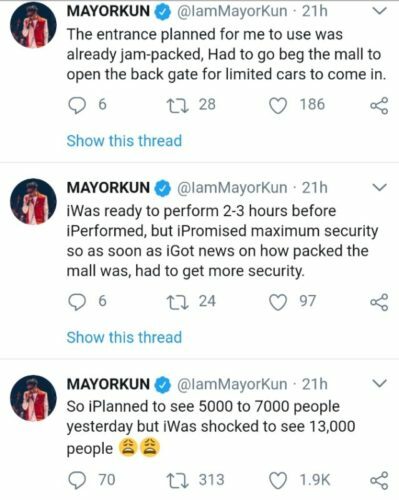 Mayorkun stated that the expected crowd doubled hence it was a little difficult to contain the crowd and more security was brought. And for the illicit s3x on the concert grounds he stated that a s3x awareness campaign was done there hence the presence of condoms. Mayorkun responded to the allegations via Twitter.